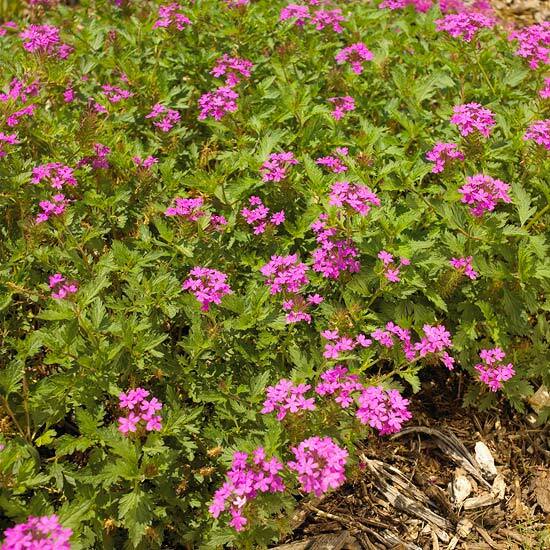 Rose verbena forms a cascading groundcover that spruces up a slope with season-long bloom. It flowers best in the cooler weather of spring and fall, but it is seldom without some splashes of color. 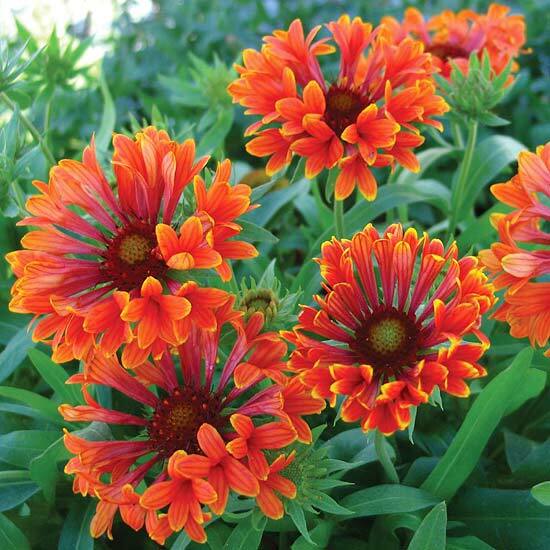 The orange tubular flowers of Commotion Tizzy blanket flower give the impression of exploding fireworks. 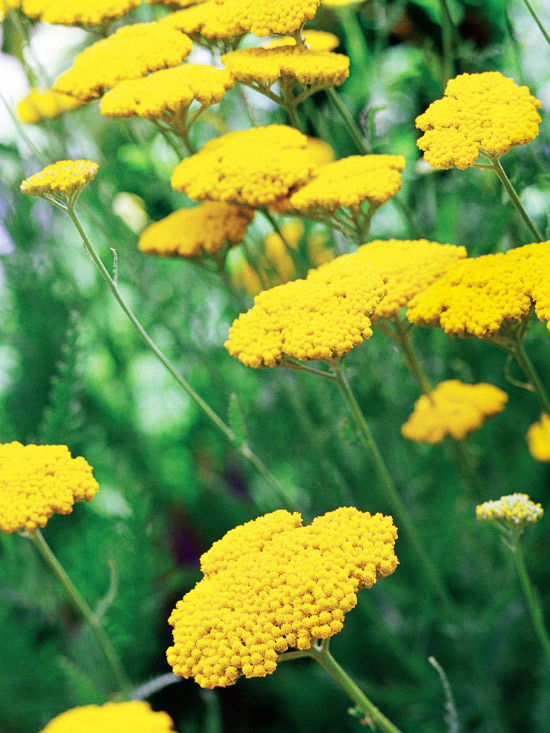 This sizzling sun-lover blooms all season, especially if spent flowers are removed. As you might guess from its name, May Night perennialsalvia puts on a spectacular show of deep purple spires in late spring. 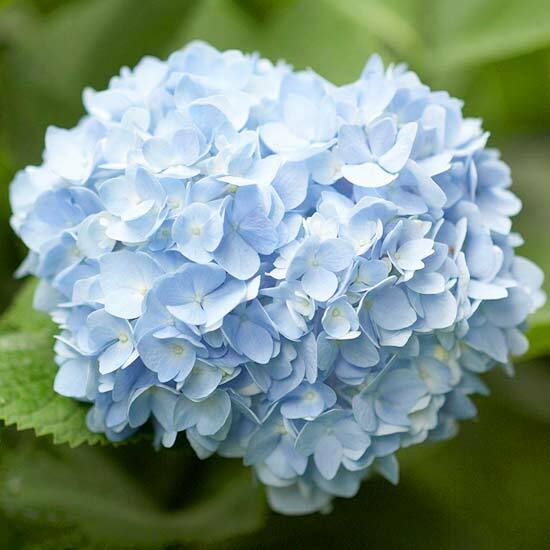 However, if you cut off the flowers as they begin to fade, it blooms again later in summer. Most hydrangeasbloom once and are done for the season. But 'Endless Summer' bears blossoms on new growth -- so you can enjoy the flowers several times each summer. For gardeners in cold climates where winter damage prevents other hydrangeas from flowering, 'Endless Summer' ensures a spectacular show. 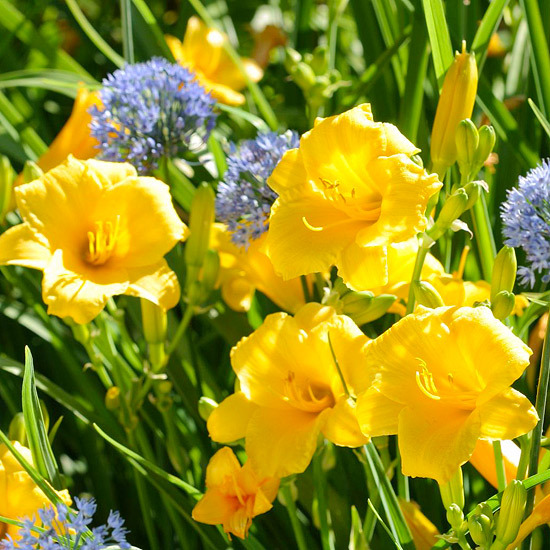 Sunny gold Stella d'Oro daylily lights up the garden with its trumpet-shape yellow flowers all summer long. 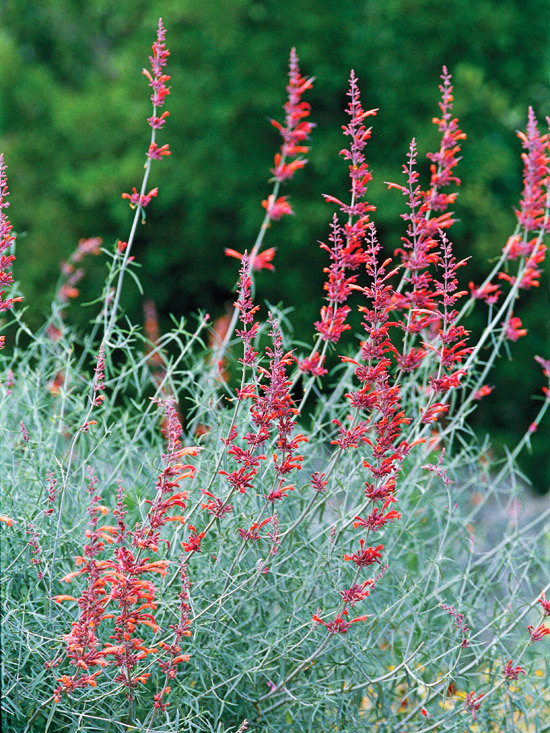 This tough plant scoffs at hot, dry conditions. Here it creates a spectacular combination with blue ornamental onion (Allium azureum). An unsung hero of the perennialgarden, speedwell comes in a variety of shades of blue, pink, or white. 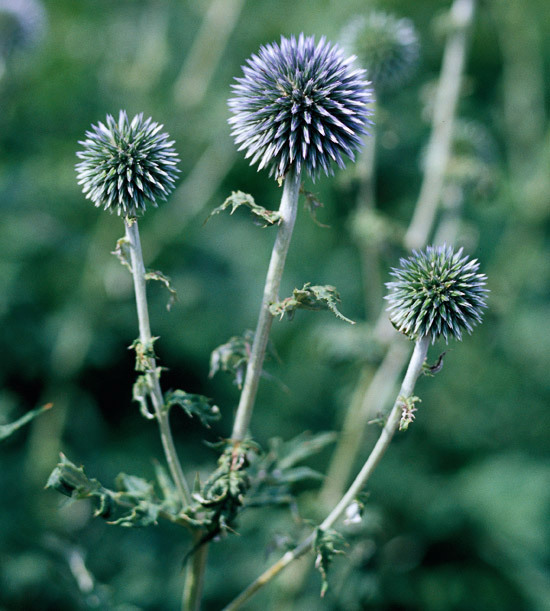 All produce upright flower spikes on mounded plants. 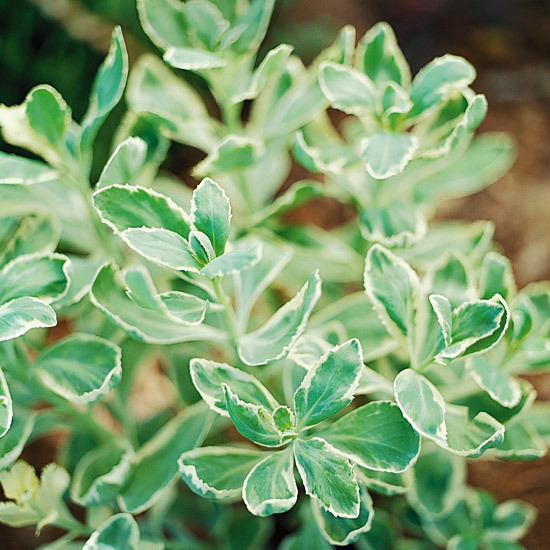 After the first set of blooms begins to fade, shear the plant to encourage branching and rebloom. 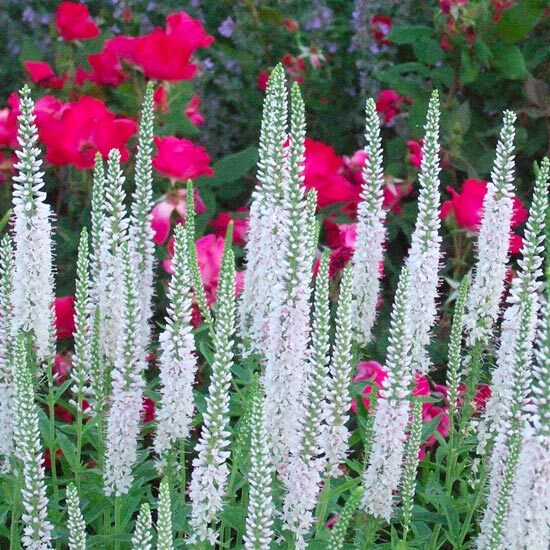 This combination of spike speedwell, Knock Out rose, and Six Hills Giant catmint creates a spectacular season-long show. Apologies for the short break in posting...the summer is lovely and busy for Esterni, and we have been working on plans and planting! Here is a lovely set of recommended plants, if like most of us, you would like them to survive without too much watering involved. Most of these will need good drainage, so try to improve the soil by digging in some grit: some of these plants will overwinter if not sitting with their roots in cold, wet, claggy (not technical but gives the picture!) soil conditions.. 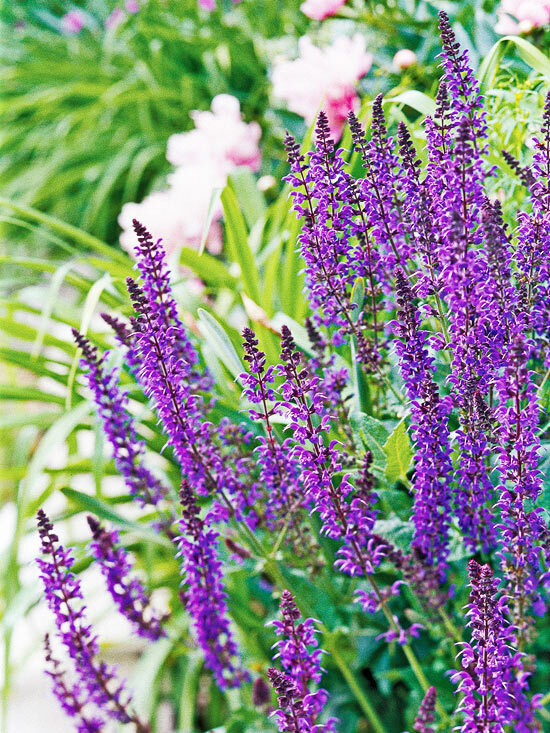 The images are courtesy of Better Homes and Gardens: handy names if you go to garden centres, or as a colour and planting planning tool - print them out and mix them in colours and textures that are right for you. 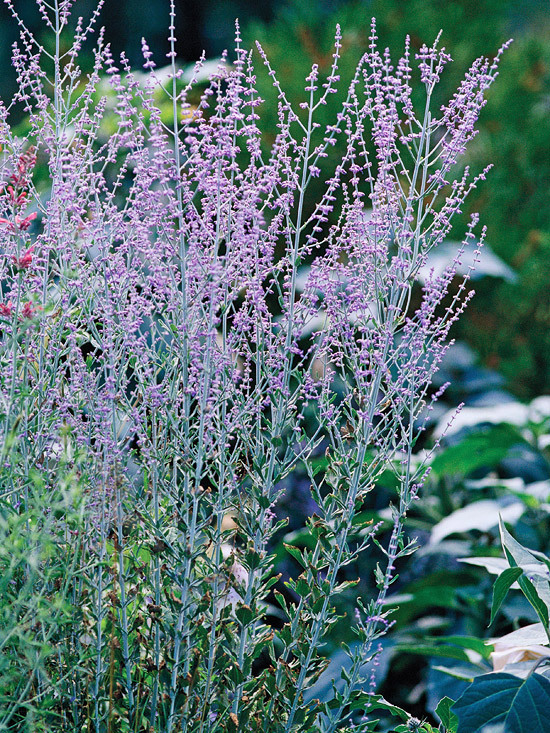 Agastache 'Desert Sunrise', common name hyssop, below, offers orange blooms that feature pink and lavender tints. 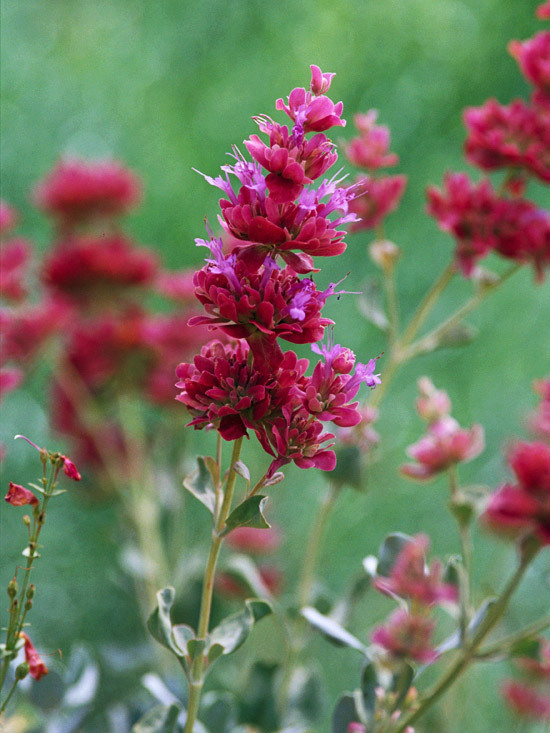 It attracts tons of hummingbirds and is a great cut flower, too. 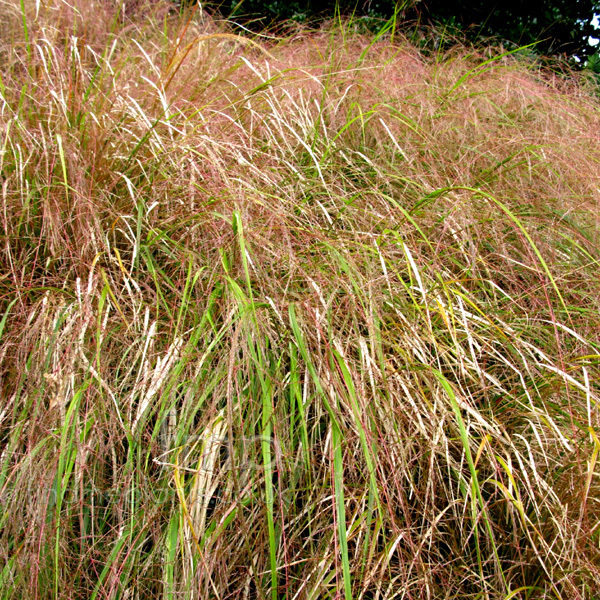 I would say again excellent with more recumbent grasses, greener such as anemanthele lessoniana, to the make the most of complementary form and texture. The useful and lovely Russian Sage, Perovskia Atriplicifolia, is a stalwart in the Esterni palette of plants: starting to bloom now in early July it looks good in SE England until October and after that provides good winter texture. Rabbit and deer proof! 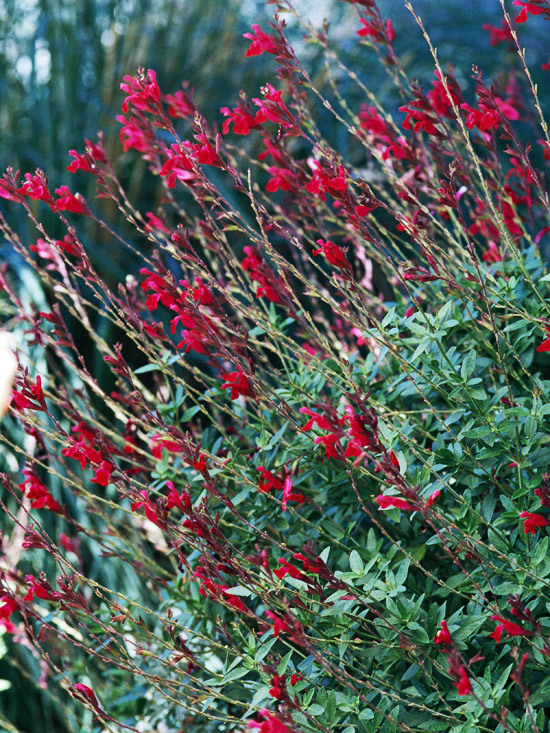 below, is very tough, grows well in a range of conditions and attracts hummingbirds. 'Raspberry Delight' offers gorgeous raspberry-red flowers over a long season: From late spring to early fall. Full sun. The image below is only really for delight, as Salvia pachyphylla, common name Mojave sage, is only truly happy in the arid conditions of the desert, as you can see from the glaucous small leaves..... what looks though! Have fun planning and planting combinations.